Token Sale - TOKEN SALE IS FINISHED! Making games is hard, profiting from games is even harder. Wouldn't it be awesome if anyone can purchase your virtual items and create competitions with pool prizes in cryptocurrencies? Best of all, you keep 100% of the revenue. We are making that happen, for you our beloved game developers! 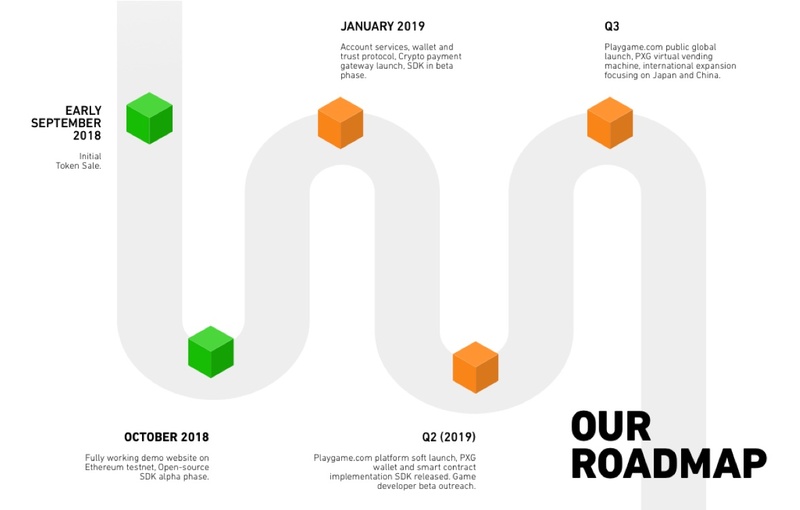 PlayGame Token is an ERC20 cryptocurrency token with smart contract platform enabling game publishers, developers and communities to monetise directly from cryptocurrency crowds all over the world. Our SDK will enable any game publisher or developer to implement their own token economy in their games. Enabling all games to have features like rewarding loyal users with tokens, implement pool prize on multiplayer games, tournaments and many more. We believe in nurturing the building blocks that defines the gaming world. Because of that we will be focusing on the 2 biggest building blocks of game development: easy distribution to the gamer community and fund raising your gaming development. PlayGame.com - Direct-to-play HTML5 gaming platform. To simplify marketing and distribution, we are creating playgame.com. A direct-to-play gaming platform where players can play HTML5 games directly from their desktop, mobile browser or even embedded on their own application. No application downloads required. Publishing your game to playgame.com is not mandatory. FunFund Initiative - Cryptocurrency-powered crowdfunding platform. In the age of Kickstarter, you should be able let your fans fund your next game. Our FunFund Initiative can help you with that. Tapping in to the huge market of cryptocurrency holders, you are gaining access to people who already have digital money and are willing to spend it for the things they love. Let them support you and give your supporters the in-game rewards they wish to have. 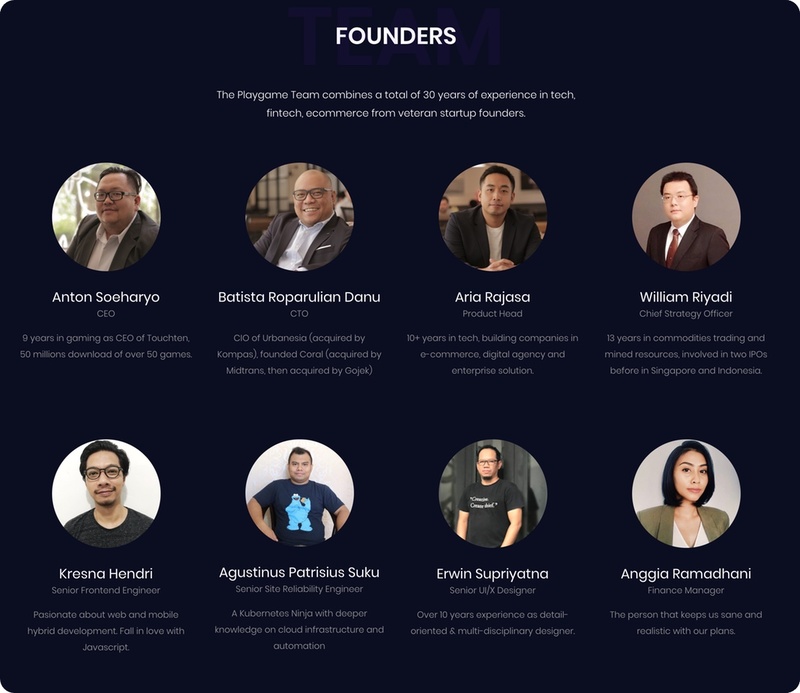 We are committed in creating a healthy, inclusive, transparent gaming ecosystem that is beneficial for the game developer, publisher and also the gamers itself. PXG Initial Token Sale can be purchased with Bitcoin, Ethereum and Tokenomy. Please see the schedule below for more details. Only 1,000,000,000 PXG (1 Billion PXG) will ever be distributed. What is PlayGame Token (PXG)? PlayGame Token is an ERC20 cryptocurrency token with smart contract platform that enables game publisher, developer and community to monetise directly from cryptocurrency users all over the world. Our SDK will enables any game publisher/developers to implement their own token economy in their games. Enabling all games to have features like rewarding loyal users with tokens, implement pool prize on multiplayer games and tournaments and many more. Can I buy PXG with fiat or other cryptocurrencies? You will be able to buy PXG with BTC, ETH, TEN and USDT. When is PXG Token Sale? PXG’s Token Sale will be conducted in two phases: Pre Token Sale and Token Sale. Pre Token Sale starts September 10 2018, 4PM (GMT+8) and ends September 24 2018, 4PM (GMT+8). Token Sale starts September 24 2018, 4PM (GMT+8) and ends October 24 2018, 4PM (GMT +8). Pre Token Sale: 200,000,000 PXG. Token Sale: 400,000,000 PXG. What is the token price during the Token Sale? Pre Token Sale?—? 1 ETH = 18,000 PXG. Token Sale?—? 1 ETH = 15,000 PXG Get additional 10% PXG tokens when you buy using TEN Tokens. Where will the Token Sale sale take place? The Token Sale will take place on the Tokenomy Platform. Registration for whitelisted (KYC) will start on August 20 2018, 4PM (GMT+8). How will I be able to purchase PXG tokens? PXG Initial Token Sale can be purchased with Bitcoin (BTC), Ethereum (ETH) and Tokenomy (TEN). No minimum purchase for Pre Token Sale and Token Sale stages. What happens if the Token Sale tokens do not sell out? PlayGame will contribute the unsold tokens to PlayGame’s Funfund initiative to incubate indie game developers and power their game economy. Funfun initiative is a Cryptocurrency-powered crowdfunding platform by PlayGame. FunFund Initiative allows game developers to tap on the huge market of cryptocurrency holders and allow fans to fund their next game. How can we keep updated, or if I want to contact you? Please join our telegram group (English group and Indonesian group). We also have a telegram channel, twitter, facebook, youtube and medium.